Ornamental ponds and fountains can bring nature and beauty into a variety of settings which include golf courses, residential landscaping, parks, recreational facilities, office buildings and more. The impermeable geosynthetic linings used today add strength and durability to water containment and are far superior to clay lining methods. Geomembranes offer superior leak protection, are virtually maintenance free, and can withstand the harshest environments. 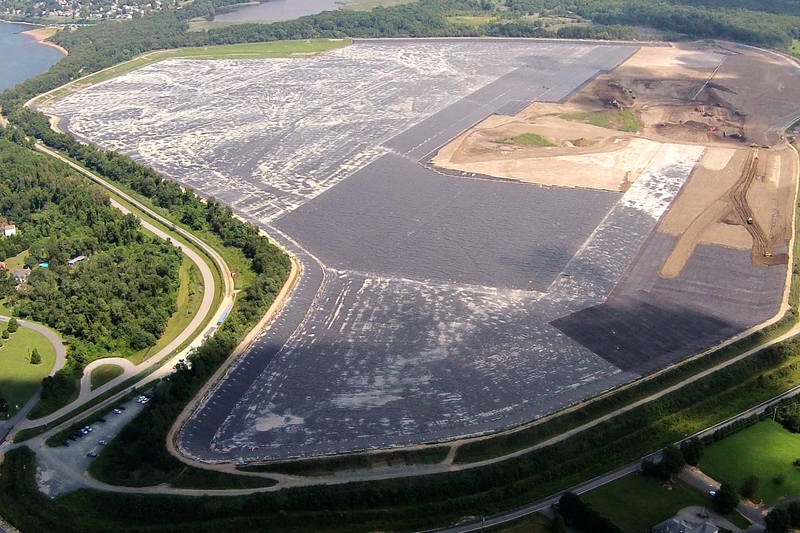 The geomembrane liner is typically installed in association with two layers of geotexile, a non woven fabric placed above and below the geomembrane, to protect the liner system from being punctured by sharp particles in the subgrade. 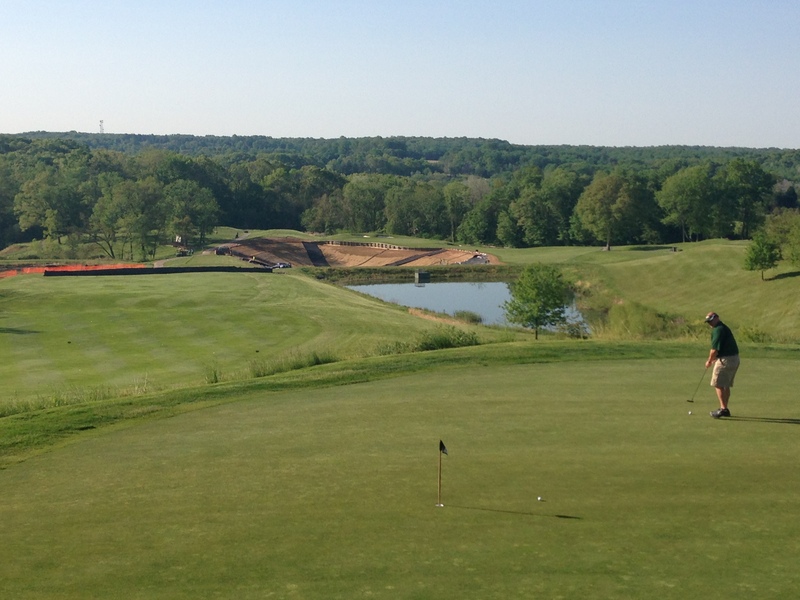 Additionally, geosynthetics have a wide variety of uses in the golfing industry. Geomembrane liners have been used on golf courses in areas such as irrigation and drainage ditches as well as ponds throughout the course. Golf course ponds are very important on a golf course, offering aesthetic value and golf hazards for the course. A geosynthetic liner system can help to ensure the proper containment of water without losing volume from seepage into the ground. After liner materials are installed and seams are tested for leaks, the pond is filled with water and the liner becomes invisible to the eye. Allow Hallaton’s highly trained management, field superintendents and crews to provide this service for you and ensure that a quality job has been completed.